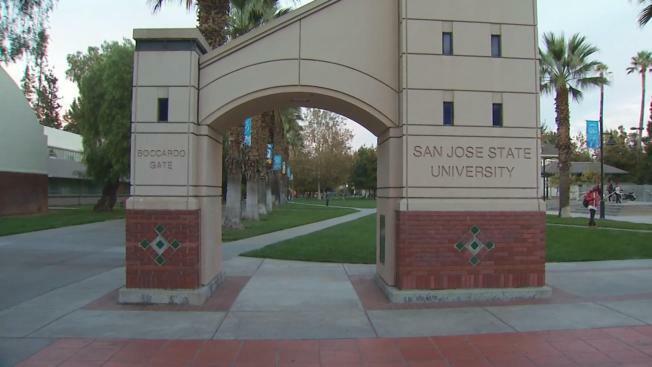 San Jose State University officials responded on Wednesday to students’ questions about why they were kept in the dark regarding two alleged sexual assaults at an off-campus party last month. “I believe it is a threat because it is someone who is [on] our campus” who students “might encounter,” said Rosa Cervantes, who studies at SJSU. As of Wednesday, university officials believe the suspect, a member of the men’s water polo team who was in the Bay Area on a student visa, has left the country. Chief Diversity Officer Kathleen Wong Lau said the alleged attacks occurred over Labor Day weekend. “The two victims did not know each other and came to us independently,” she said. As soon as the crimes were reported, officials say the suspect was moved into a staff-only housing facility and was banned from campus 24 hours into investigation. “Pending the outcomes of these investigations, the student accused of these acts was placed on interim suspension, barred from campus, and ordered to stay away from the victims,” Papazian said. The Santa Clara County District Attorney’s Office is investigating the alleged assaults, but officials have declined to identify the suspect since he has neither been arrested nor formally charged. In the interim, the entire water polo team has reportedly been educated about sexual assault. “I think it’s horrible that stuff like this goes on around campus,” said student Yvonne Ngo.